Pedro Garcia pebbled leather sandal. 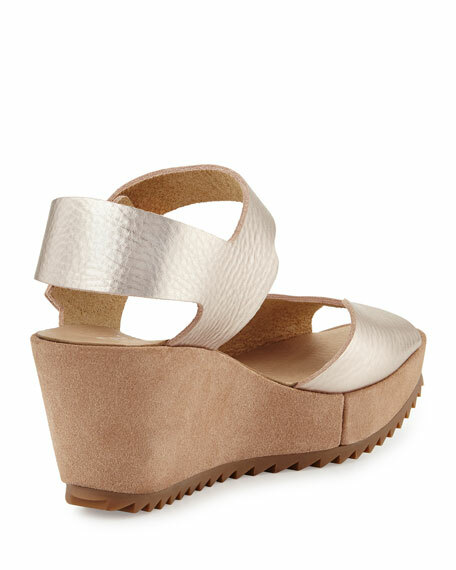 2.5" suede wedge heel; 1.5" platform; 1" equiv. "Fama" is made in Spain. For in-store inquiries, use sku #2144458.